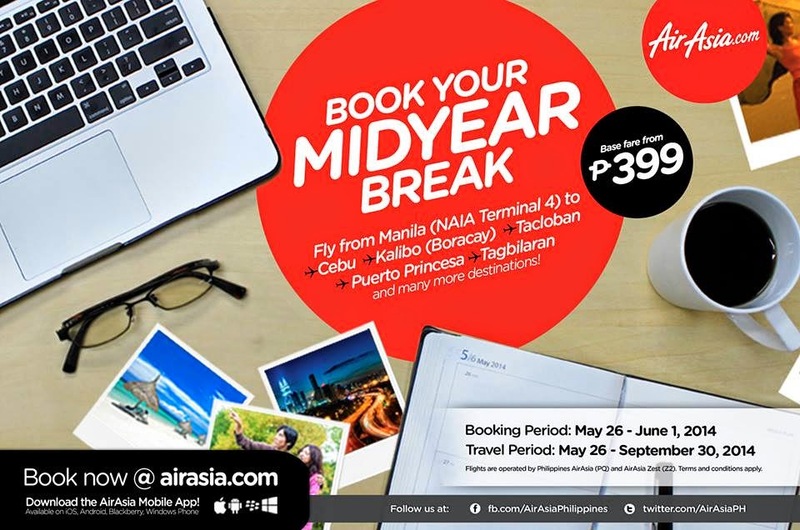 Air Asia Promo Fares- Summer’s about to end but not your travels! Prepare for your midyear trips with our low fares! Book now at http://airasia.com! Wasn’t able to go out for your summer getaways? Don’t know where to spend your midyear bonus? Need an instant stress-reliever? Our Midyear Sale is perfect for you! Fly to/from Manila, Boracay, Bohol, Cebu, Puerto Princesa and Tacloban from as low as P399 base fare only! You can also book using your smartphones! Download the AirAsia Mobile App now at http://airasia.com/apps! You can book, manage and check-in flights with just few taps and swipes on your mobile. 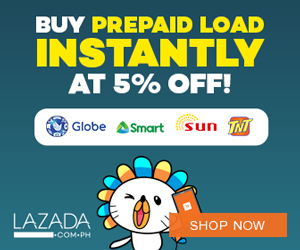 You can pay via credit card or cash via our payment partners: 7-Eleven, Bayad Center, Cebuana Lhuillier and Robinsons Department Store. Book now and tag your friends, colleagues and families along! Travel whenever you can; fly low fares with AirAsia Zest!